CPS/SEG Beijing 2014 International Geophysical Conference and Exhibition, jointly sponsored by Chinese Petroleum Society (CPS) and America Society of Exploration Geophysicists (SEG) and undertaken by Society of Petroleum Geophysicists (SPG)of CPS, held on April 21th, 2014 in Beijing International Convention Center. The Chief Executivegeneral manager of GridWorld, Sun Mai, led several technical experts to attend this exhibition. 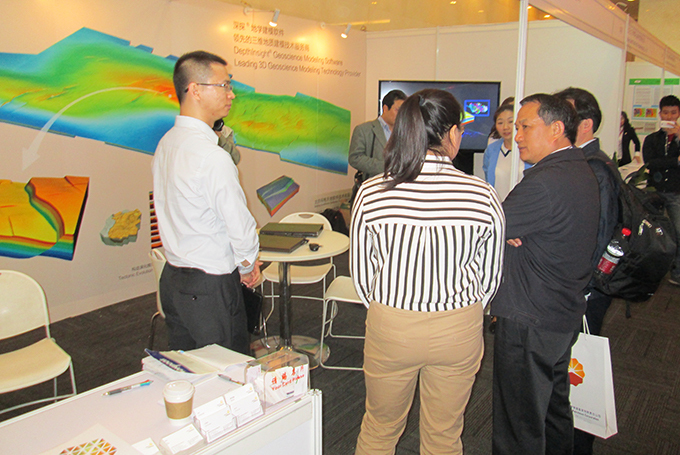 During this period, experts from several well-known enterprises and research institutions, such as SINOPEC GEOPHYSICAL RESEARCH INSTITUE, CNPC, etc., visited our booth and made an in-depth exchange about new technologies of modeling with our company.